Your lawsuit formally starts when you file a complaint in court. 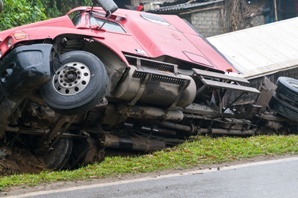 However, there are steps you need to take before you file the complaint that officially begins your truck accident case. Before you consider filing a case in court, it is a good idea to talk to an experienced Kentucky truck accident lawyer. After considering what happened in the crash and your resulting injuries, your lawyer can talk to you about the potential benefits of pursuing a truck accident case. You and your lawyer may decide that pursuing a claim is in your best interests. Once that decision has been made, your lawyer may negotiate with the insurance company and may begin preparing your case for trial. In most cases, you have only one year from the time of your Kentucky truck wreck to file a complaint in state court. If you don’t file your case on time and you try to do so later, the defendant will ask the court to dismiss your claim and, absent a legally compelling reason, the court will grant that motion. You won’t recover damages. Don’t waste another minute deciding whether or not it is worth it to contact a truck accident attorney. Instead, make the call now and get the information you need during a free consultation. Then, you can make an informed decision about whether you want to move forward with a Kentucky truck accident case and you can start your case before your time for doing so expires. Call us or reach out to us via this website at any time—24/7/365—to learn more. Who Determines Fault in a Truck Accident Case?